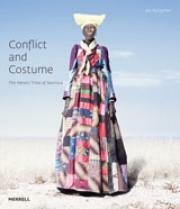 The magnificent costume of the Herero of Namibia, southern Africa, is a stark reminder of the country’s tumultuous past. In the late 19th century, the influence of missionaries and traders in German Southwest Africa led to the adoption by the Herero of the European dress of the day. 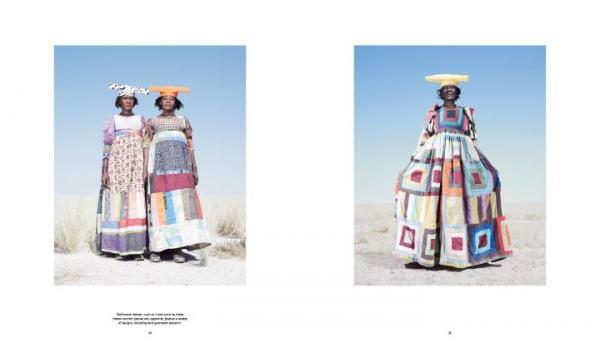 Over time, the voluminous gowns, completed by a cattle-horn-shaped headdress, came to represent the cultural identity of the Herero women. 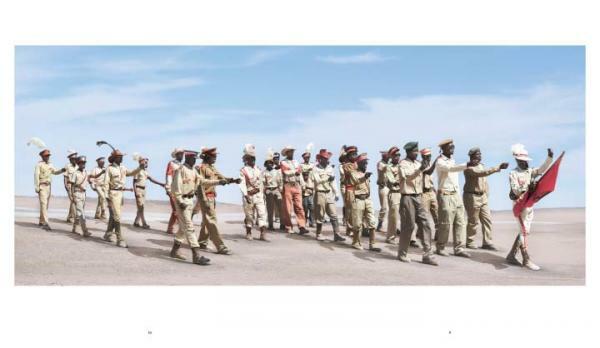 The men’s ceremonial dress also harks back to colonial times: following the brutal war of 1904, the Herero adapted the uniforms of German soldiers for their own Otruppe (‘troops’) movement. 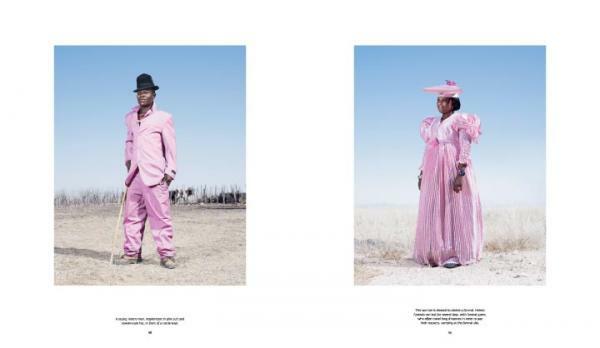 In Conflict and Costume, the acclaimed photographer Jim Naughten captures the colourful Herero attire in a series of spectacular portraits. 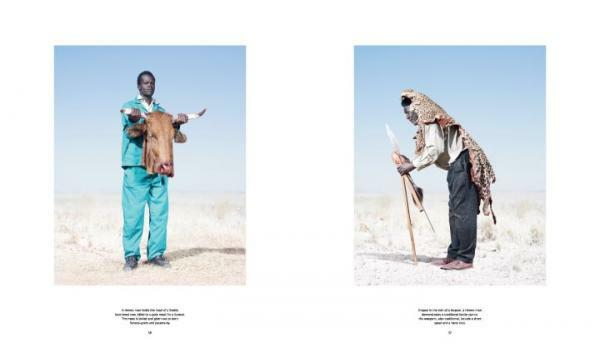 Set against the Namibian landscape, these dramatic images show the striking costumes and their proud owners to full effect: men in elaborate, home-made paramilitary uniforms, and women in floor-length frocks with matching horns. Dr Lutz Marten contributes an insightful text that places the dress in its historical context. Dr Lutz Marten is Professor of General and African Linguistics at the School of Oriental and African Studies, University of London. 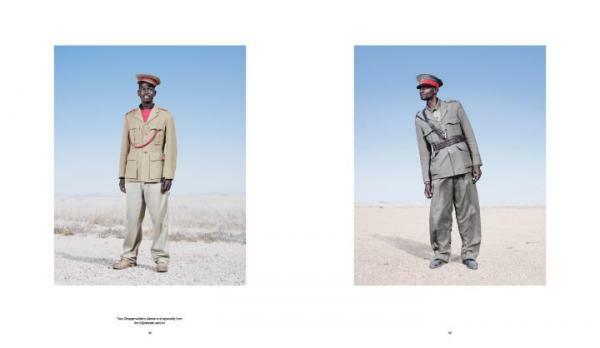 Jim Naughten is an award-winning portrait photographer based in London. He has exhibited his work internationally, and his book Re-enactors was published in 2009.